A charming tale of breakups, friendships, new crushes, and magic, The Secret Sisterhood of Heartbreakers by Lynn Weingarten is perfect for fans of Lauren Myracle, Ally Carter, and Meg Cabot. When Lucy's boyfriend breaks her heart, she discovers just how far she'll go to mend it. Lucy is stunned when her boyfriend suddenly ends things on the first day of sophomore year. She barely knows how she'll make it through the rest of the year without her one true love. Then she meets three beautiful girls who promise Lucy they can fix her broken heart. All Lucy has to do is get a guy to fall in love with her and break his heart in the next seven days. And then she'll be a member of the Secret Sisterhood of Heartbreakers—irresistible to guys, unbelievably popular, and able to control magic. 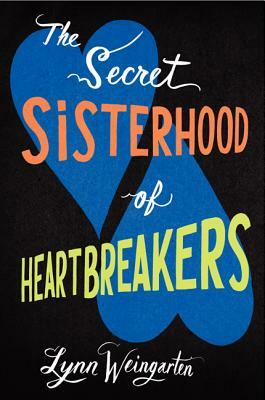 Lucy longs for her broken heart to mend, and the sisterhood's magic just might be the perfect way to win back her ex . . . but how far is she willing to go? Lynn Weingarten is the author of Wherever Nina Lies as well as The Secret Sisterhood of Heartbreakers and its sequel, The Book of Love. She lives in New York City. — —Kate Brian, author of the New York Times bestselling series PRIVATE. In sentient and original metaphors, Weingarten evokes the poignancy of unrequited love…Lucy’s journey celebrates the complexities of friendship and family and teaches her to appreciate the ordinary…and Weingarten raises questions teens will enjoy considering. Mixed in with the magical element, there is a lot of quite sound advice about how and why attraction works, making this a useful self–help guide for the flirt–challenged in the woefully unmagical world of teen dating. Weingarten’s (WHEREVER NINA LIES) second novel is tense yet comforting…the author’s meditations on love, heartache, choice, and power will hit home with teens.